A new study has found that using Facebook regularly could be making us feel blue. The main reason is FOMO - we feel lonelier than we otherwise would because Facebook makes it seem as though everyone else we know is out having a great time without us. 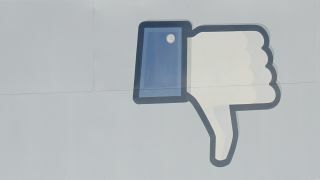 "The more people used Facebook the worse they subsequently felt," the researchers said, before concluding that "the more participants used Facebook, the more their life satisfaction levels declined over time". So that's cheery. It's not an exact science though, so don't give up on social networking just yet: other studies have found that using Facebook can make us feel good. It's almost as though sometimes we feel good and sometimes we don't and it's more to do with our actual lives and not so much down to Facebook, isn't it? Don't be down: let blips cheer you up.